The UK will support Zimbabwe rejoining the Commonwealth, it has been reported. The invitation will almost certainly be accepted, as President Mnangagwa has been on a global charm offensive, bedecked with his trademark scarf no matter what the weather. Zimbabwe is desperate for international acceptance after being cast out in the Mugabe era. Zimbabwe was suspended from the Commonwealth in 2002, following the land invasions, although Mugabe withdrew in 2003 before formal expulsion, with some Commonwealth leaders torn in their solidarities. Being invited to Commonwealth Heads of Government Meeting in London last week as an observer was a strong signal of reengagement. So will rejoining make any difference? The answer is probably not much, but symbolism is all in international relations. Any moves are unlikely to happen until after the elections, but the meeting between UK Foreign Secretary and Foreign minister Subisiso Moyo, on the sidelines of last week’s meeting was all smiles. Imperial anachronism or powerful trading network? The contemporary relevance of the Commonwealth is much debated. Some regard it as an anachronistic hang-over from Empire, with all the subservient trappings of allegiance to a foreign, once-ruling colonial monarch. The excellent Afua Hirsch argues that attempts at revival are simply imperial dreams dressed up as Empire 2.0, pushing neoliberal policies on the poor, developing world. Somewhat fancifully, others see the Commonwealth as the basis for a new post-Brexit global trading network, with the UK at its centre, and Australia, New Zealand, Canada, South Africa and selected others connected in a powerful grouping to take on the world. This is of course rather absurd, but there will be moves in this direction as Theresa May’s government attempts to make the best out of the inevitably disastrous Brexit deal, with their silly slogan ‘Global Britain’. While of course the Commonwealth of Nations is a relic of empire (its earlier incarnations were of course the British Commonwealth and the Imperial conferences), the idea that Britain could have any imperial ambitions today is of course only in the fevered imaginations of the likes of Boris Johnson. Today’s imperial powers are firmly elsewhere. The Queen likes to talk of the Commonwealth as a ‘family’; also rather ridiculous, until you remember dysfunctional families, familial power relations and imposing matriarchy. So beyond the PR value, does Zimbabwe rejoining make any sense? Is this a sop to imperial power, which the liberation war fought? Will Zimbabwe benefit preferentially from new trade deals? Will it make any difference at all? Following Zimbabwe’s Independence, Commonwealth connections were important. Yes, trade, but also diplomacy, including around the then seemingly intractable ending of apartheid in South Africa. With many Commonwealth countries being front-line states, they were at the forefront of the struggle. The Commonwealth Heads of Government Meetings were important affairs. Remember the CHOGM in 1991 in Zimbabwe? It was a big deal, with a landmark declaration proclaimed. It is rare such an array of dignitaries end up in Harare. Just maybe such unlikely connections, and the fanfare that goes with it all – can help today. With the polarisation of global power – a regressive US and an all-powerful China – the concerns of many parts of the world don’t get a look in. But in the Commonwealth, with a different constellation of the not powerful and once powerful, other agendas can be raised. The more radical proposal to reinvent the Commonwealth group for the modern era through appointing a non-white small island state leader is off the cards for now, as Prince Charles has been accepted as the Queen’s successor. But maybe in time a reconfiguration away from the old colonial power can occur. The London CHOGM has generated some important debates on global issues. The terrible treatment of the disenfranchised so-called Windrush generation – the children of those who came by sea from the Caribbean as British citizens to help re-build the UK economy after the Second World War – has put in the spotlight the positive benefits of global migration. The madness and inhumanity of restrictive UK immigration policy has been put to the fore, prompting apologies from the PM and Home Secretary. After the vicious, regressive Brexit debate, this is a breath of fresh air. Perhaps this will be extended to others. What about the many Zimbabweans in the UK who struggle with the immigration service, but offer important work, including – as memorably put by Jo McGregor – ‘joining the BBC’ (the British Bottom Cleaners) in social services? The London meeting has also raised the important issue of plastic pollution in the world’s oceans. Although not Zimbabwe of course, many Commonwealth countries have long coastlines or are islands (yes I know, easier to invade and colonise), and so suffer disproportionately. Whatever you think of now UK Environment minister Michael Gove, he’s certainly good at seizing the moment politically. A marginal debate at one of the branches of the UN is now projected into the limelight with dozens of prime ministers and presidents offering support. It may be that billions of cotton buds and plastic stirrers are literally a drop in the ocean, and a UK ban will have little effect, but again the symbolism and politics count. So, while accepting that the ideas of a new global trade pact are fanciful and that of course the Commonwealth has a dodgy imperial past, Zimbabwe re-joining could have some benefits. Together with other small countries that never get a look in at the UN or other global bodies, collectively they can raise important questions of global consequence (think climate change and small island states), and generate solidarities that are otherwise not possible in our polarised world. As an operation with a very small budget but a big international presence, if imaginative and progressive, the Commonwealth can take some important initiatives, and Zimbabwe should be there to start and steer them. This post was written by Ian Scoones and first appeared on Zimbabweland. 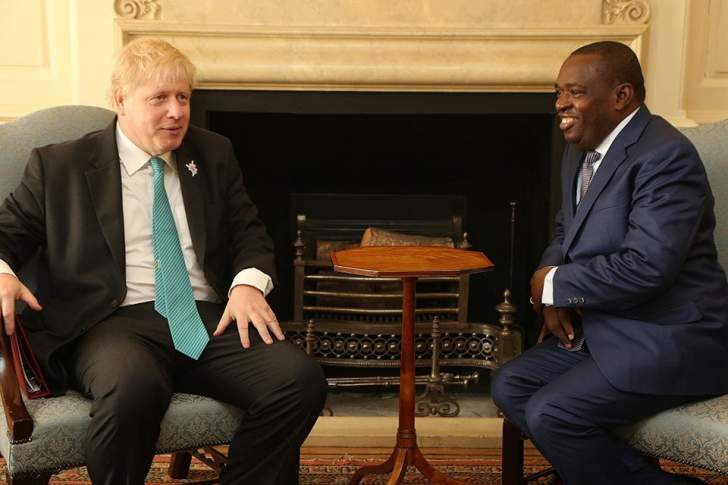 Picture credit: Meeting between Boris Johnson and Subisiso Moyo, London, from UK FCO Flickr. At Davos, can Zimbabwe re-engage with the global economy on its own terms? 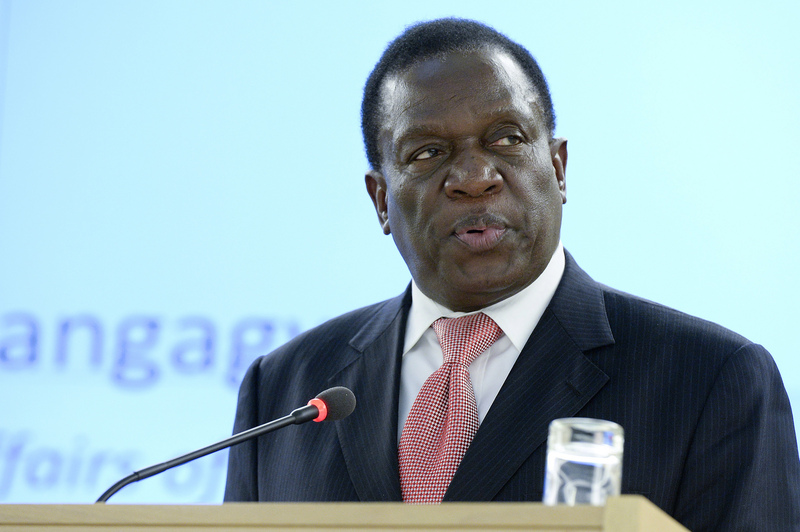 As Emmerson Mnangagwa heads for the snowy slopes of Davos, Switzerland to rub shoulders with the global capitalist and political elite at the World Economic Forum, he must not forget the more radical ambitions of his background. His recent discussion over lunch with Financial Times journalist, Alec Russell, was revealing. 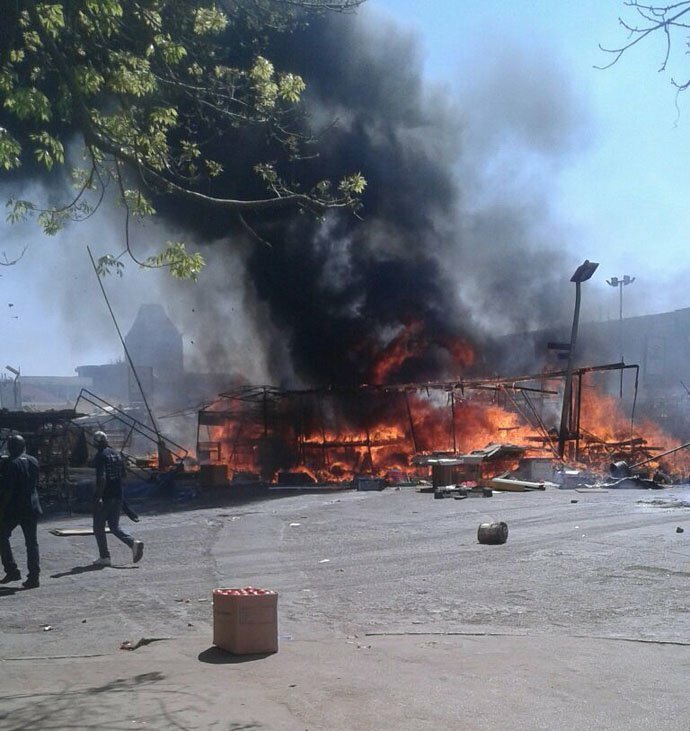 Zimbabwe desperately needs finance, and support from western nations, as well as China, Brazil, India and others who stuck with the country in the last years. The Investment Policy Statement and Action Plan released last week makes all the right noises. The charm offensive with the British is in full flow, and the FT interview was part of creating the right mood music. But there are red lines it seems; and one is land reform, despite the long period of sanctions imposed from 2000 and the antagonism of many western powers to this redistributive move. Mnangagwa’s enthusiasm for getting agriculture, as the core sector in an agrarian economy, moving is clear too – although all seen through the lens of his ‘command agriculture’ experiences. The full transcript of the FT interview is available too – and it offers a glimpse of an unusually relaxed, engaging Mnangagwa. A reminder that a commitment to a radical transformation of agrarian relations is crucial for Zimbabwe, and that the land reform was only one step, was offered in the first annual Sam Moyo memorial lecture last week. Hosted by the Sam Moyo African Institute of Agrarian Studies, the lecture was delivered by Prabhat Patnaik from JNU, India and introduced by Issa Shivji from Tanzania. The video is available here. It offers a powerful call not to forget ‘peasants’ and poor smallholder farmers in agrarian transitions in the context of globalisation. Sam Moyo tragically died in a car accident in India in late 2015, but his work and committed yet practical radicalism lives on amongst many young scholars, and in the vibrant agrarian studies summer school held each January in Harare. Mnangagwa and his people should go along next year to learn more about experiences of agrarian transformation globally. At Davos, the allure of much-needed capital will be strong for Mnangagwa and his ministers. The WEF represents a gathering of the high priests of neoliberal capitalism, all eager for investments and returns. 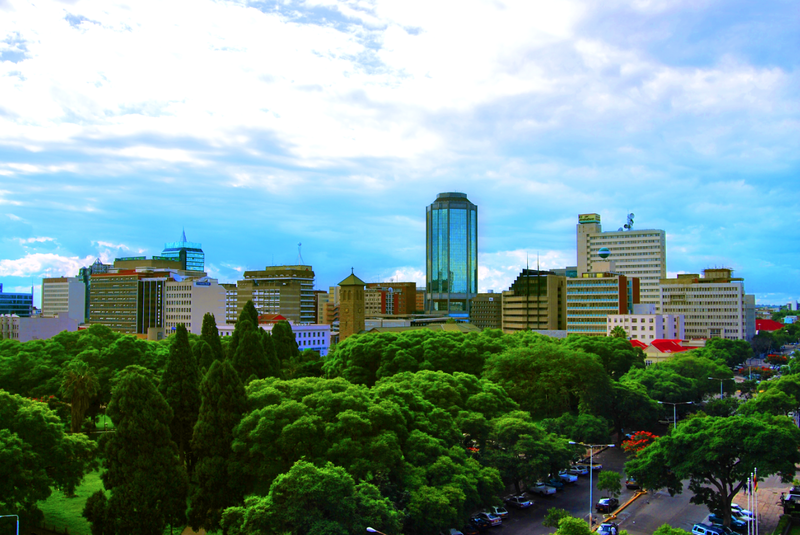 Zimbabwe may soon be seen as a promising investment destination, and needs to prepare for this. Such investments need to be for Zimbabwe’s development, not just servicing global capital. A strong state leadership will be essential, as deals are negotiated. Some 70 heads of state are expected to attend the Swiss meeting. Mnangagwa may get a chance to meet the British Prime Minister, Theresa May, and many others. As revealed by his FT interview, with his predecessor, he definitely approves of female British leaders, including the Queen, so prospects of rejoining the Commonwealth are raised, for whatever benefits that might bring. Mnangagwa may also bump into some other leaders too. There will also be a scattering of the leading authoritarian populists there, including Trump and Modi, who will be offering perspectives on new nationalist and populist versions of global capitalist relations from the US and India. But a return to a neoliberal framework for the Zimbabwean economy would be a disaster, as would an attempt to veer towards an isolationist, nationalist populism. We all know how the supplication to the conditionalities of the international finance institutions, through structural adjustment, destroyed state capacity and undermined a diversified economy from the early 1990s. Many of the problems of today derive from this period. This was exacerbated of course by Mugabe’s populism: an economically naïve ‘Zimbabwe first’ position just does not work in a connected world. Can Mnangagwa steer a different course? Committed to redistribution, economic justice and inclusive development, while encouraging investment from different sources – both east and west – but regulated on Zimbabwe’s terms? It may mean doing less well on the World Bank’s now discredited, ideologically-motivated ‘doing business’ rankings exposed this week, but it may be better for Zimbabwe. 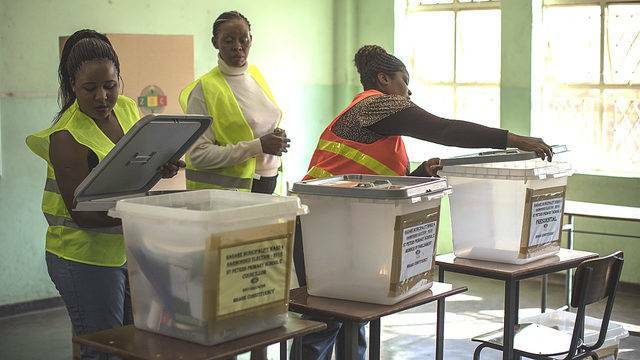 He has little room for manoeuvre, and having announced ‘free and fair’, internationally-observed elections for May or June, also not much time to turn things round – but this must be on Zimbabwe’s terms. Next week the blog will offer the last of the short series for The Conversation on challenges for land and agriculture in Zimbabwe. The first two on compensation and on land administration are already out. The final one on priorities for agricultural development will be out soon on The Conversation’s platform. The lead photo is from the Human Rights Council 25th session, 2014, under CC license. Zimbabweland kicks off 2018 with three articles republished from a series coming out in The Conversation, each on commenting on different land and agriculture policy issues under the post-Mugabe dispensation. This is the first. In his inaugural address the new President of Zimbabwe, Emmerson Mnangagwa, confirmed that land reform was both historically necessary and irreversible. He also made a commitment to compensate farmers who were forced off their land during the fast track land reform programme of the 2000s. Many international commentators read this as a sign of a more inclusive stance that could benefit economic recovery. Indeed, the recent reinstatement of an evicted white farmer is perhaps an indication that things are changing. Mnangagwa has no option but to tackle land reform if he’s serious about getting Zimbabwe’s economy back on track. This is because agriculture continues to play a significant role. Zimbabwe’s major land reform, starting in the year 2000, resulted in around 6,000 farms owned by about 4,500 farmers and companies being taken over. Former owners, most of them white commercial farmers, were evicted, sometimes violently. Today around 145,000 households occupy 4.1 million hectares under smallholder resettlement schemes. Another 3.5 million hectares are used by about 23,000 medium-scale farmers. One of the new government’s major policy priorities has to be to get agriculture moving as a motor of growth. 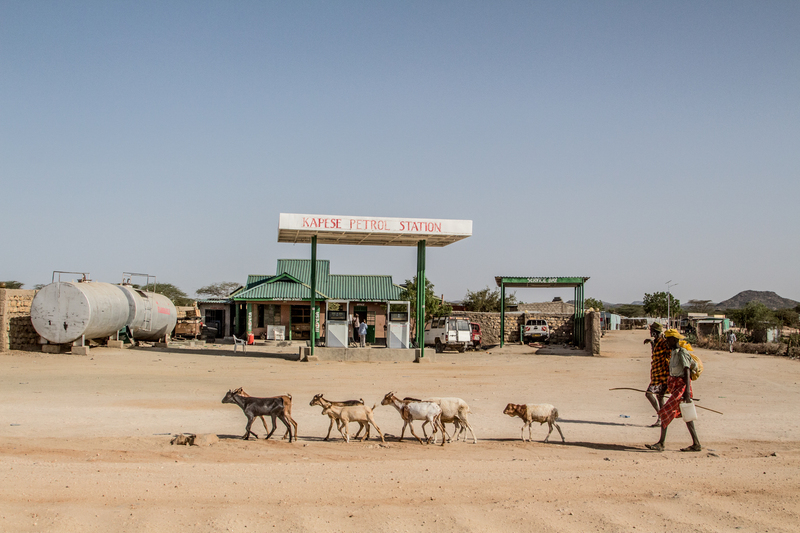 The long-running issue of outstanding compensation payments has meant that international donors and financiers have not engaged with land reform areas, missing out on supporting major development opportunities. Agriculture remains a mainstay of Zimbabwe’s economy. People on the resettlement farms are producing significant quantities of food and other agricultural products. For example, in the last season over half of the 2.2 million tonnes of maize produced in the country, as well as 60% of total tobacco output worth nearly USD$350 million, came from land reform areas. These numbers make it clear how vital they are to Zimbabwe’s struggling economy. Former commercial farmers held land under freehold title. In some cases bilateral investment agreements, mostly with European countries, also governed ownership. Yet, as part of the reform, land was expropriated by the state and allocated to new users. Initially this was done without regard to these rights. The lack of redress, and the ongoing contestation over ownership of land, has caused uncertainty. This in turn has affected growth and investment. Many western countries have refused to undertake work in these areas, linked to a wider sanctions regime. Resolving the compensation question is vital for seeking a way forward for Zimbabwe’s agricultural sector. Of course offering compensation is not a new policy. Compensation for “improvements” on the land has been on offer for years. It was reconfirmed by the 2013 Constitution, negotiated by all political parties. To date around half of all farms acquired during land reform have been valued by the government. In parallel, others have been valued by private surveyors and ValCon, an organisation backed by former large-scale farmers. So far around 250 compensation settlements have been reached, amounting to a payment of around USD$100 million. For farms where land was acquired under bilateral investment treaties, compensation for both land and improvements must be paid, adding to the costs. What’s been missing has been the capacity to undertake valuations of the remaining farms; the funds to pay compensation; as well as the political will to see it through. This may now have changed under Mnangagwa. A commitment has been made to a process of auditing, valuing and paying compensation, linked in turn to the issuing of 99-year leases and permits to use the land. The total compensation bill is likely to run into several billion dollars. Who will pay – and how – are the big questions. A mix of payments across different liabilities will be required. There will be private components, such as equipment that a new farmer is using, that will have to be paid off by larger-scale farmers. This payment can be done over many years through mortgaging arrangements, with upfront payments by the state to former owners. For smallholder farmers, the “improvements” designed for large-scale farming have been less useful. And their ability to pay is much less. Here state or aid funding of compensation will be required. Other public assets – such as a dam, a road, a building now being used as school or as an extension workers’ house – are more appropriately paid off by the state, or as part of a donor-financed or debt-rescheduling scheme. Nearly 18 years after the land reform most evicted farmers want a quick, pragmatic solution. This has dragged on for too long. Former white farmers are ageing and are in urgent need of pension support. Others have moved on to different businesses or left the country. This is about acknowledgement, reconciliation and justice. In a period when there have been currency changes, hyperinflation and dramatic shifts in the economy, valuation will always be an approximate science. While some will continue to contest the land reform in whatever court or tribunal that will hear them, most want resolution – and soon. Resolving the compensation issue is essential not only to provide redress for those who lost their farms, but also to reduce uncertainty, encourage investment and unlock potential for growth and development. Mnangagwa’s commitment is a good sign. But it now needs to be seen through, and urgently.